Thank you for taking a moment to check out the books and curriculum that I have written! Scroll down and you will see devotionals, Easter plays, Bible curriculum and more. Click on the titles to find out more about each book. Simply Serve: How to Make a Difference in the World is my most recent book for adults. This book will help you see the opportunities God has given you to step out in faith and make a difference, and it will show you that you CAN make a difference in the world! Each chapter ends with reflection questions and a Scripture passage for further study. 112 pages. Banana Bread & Mismatched Socks: 100 Devotional Thoughts From My Every Day Life is a devotional that finds spiritual applications in ordinary (and some not so ordinary) experiences. Whether you are laughing at the antics of the kids, relating to the challenges and triumphs of being a mom, or experiencing the wonder of an awesome God who provides exactly what is needed in remarkable and unique ways, you will be encouraged in your walk with Jesus as you read this book. 375 pages, illustrated. My Brother’s Feet Smell as Bad as Noah’s Ark (and 30 other devotions that stink!) Have you ever thought about how the events in the Bible must have smelled when they were happening? This book takes a look at 31 smelly Biblical events, and gives 31 not-so-smelly personal applications that will help you live a life that does not stink! Perfect for kids ages 8-14. 309 pages, illustrated. The Boy Who Couldn’t Read is a story about a happy little boy who loved to do all the normal things a happy little boy would do – but then he started school and his struggles began. Finding it next to impossible to learn to read, this happy little boy soon became sad as he learned he had dyslexia. How will this little boy deal with the challenges he will now face? Co-authored and illustrated by a nine year old boy with dyslexia. 41 pages, illustrated. The Book of Acts: A Hands-on Homeschool Curriculum is a Bible curriculum designed to help families grow in their faith during the school year. Each weekly lesson is divided into five days, covering different topics related to the Book of Acts. Suggested memory verses are given for each week, along with copy work, journal prompts, and various activities designed to reach all learning styles. Each weekly lesson ends with an Extended Activities section which contains ideas for using the Book of Acts across the curriculum through history, science, geography, math, and Language Arts. Also included is a weekly Preschooler Pointer, enabling families to include even the youngest members in Bible learning. Finally, each lesson contains an Act On It suggestion which is designed to help families put their faith into action in a practical way. This is the first Bible Curriculum published by Ministry Mom books. 241 pages. The Book of James: A Hands-on Homeschool Curriculum is a Bible curriculum designed to help your child grow closer to Jesus during the school year. It includes 35 weeks worth of lessons, with activities, object lessons, crafts, snacks, discussion questions, songs, outreach ideas, journaling topics, and more. Extended activities are also included with each lesson to help your child apply Scripture across the curriculum in such areas as Math, Language Arts, History, Geography, Science, and Art, and optional ideas are provided with each lesson for students who are struggling writers. 271 pages. The Feast: A 7-Week Easter Study for Families is a 7 week Bible curriculum created for families to help them draw closer to Jesus during the Resurrection season. Every day is filled with ideas on how to apply and study Scriptures relating to the death, burial, and Resurrection of Christ. Each lesson begins with an Appetizer (a warm up activity), continues on to the Meal (the Scripture reading and discussion) and ends with the Dessert (ideas to help personalize the Scripture). In addition, several cross-curricular ideas are provided in the areas of Language Arts, History/Geography, Science and Math, and at least one outreach idea is included for each lesson. 99 pages. Bold: A Ten Week study for Families and Churches is a 10 week study that takes your kids on a BOLD ADVENTURE as they learn what it means to BE BOLD for Jesus! Topics include bold living, bold service, bold faith, bold prayer, bold sacrifice, bold giving, and more. Each lesson contains an opening skit and activities, a Biblically solid Bible lesson, a Bold Biography featuring a hero of the faith from after the Bible was written, and additional activities to reinforce the lessons. Weekly Bible reading plans for both young children and older children/teens are also included with this study. 112 pages. Journeying Through James: A 35 Week Study for Families and Churches Take your kids on a meaningful journey through the book of James with this exciting 35 week study! Each lesson contains suggested games, an in depth Bible study, crafts, snacks, a letter for parents, a daily Bible reading plan and more! 277 pages. The Call: A 10-Week Study for Families and Churches is a 10 week study that combines individual Bible reading with whole group activities to challenge children of all ages to respond to God’s call on their lives. This guide contains a Bible reading plan for young children, independent readers and teenagers, along with plenty of ideas to help leaders organize a fun and meaningful large group or family Bible time. Ideas are included for games, crafts, lesson times, skits, snacks, videos and more. 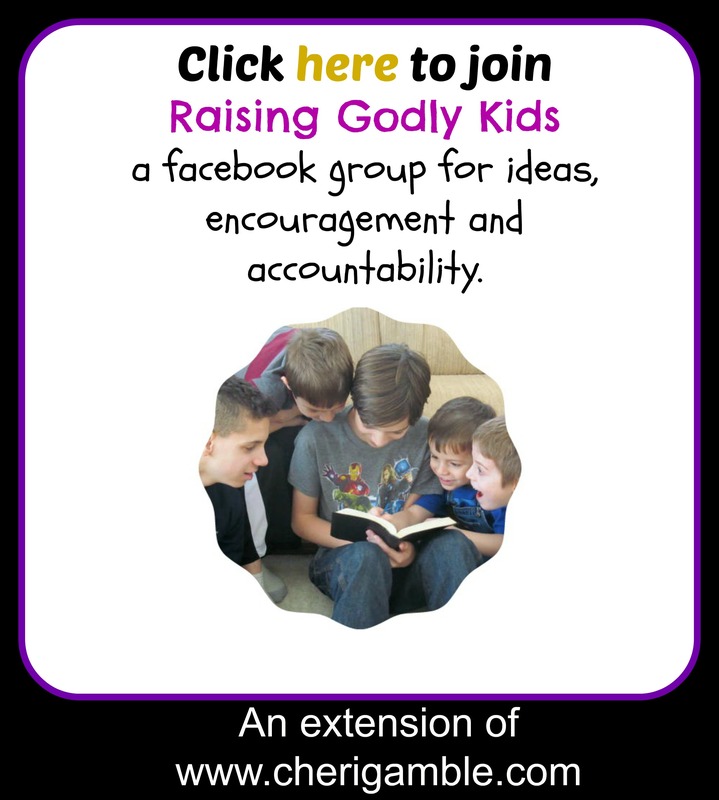 Help your children understand and respond to the Call of God on their lives through this 10 week study! 87 pages. Behind the Scenes: An Easter Play for Children is a creative Easter play that will help your congregation experience the message of the Resurrection of Jesus Christ in a meaningful and challenging way. Approximately 25 minutes long, the play takes a peek at what may have been happening in the spiritual realm during the birth, death, and resurrection of Jesus Christ and features such characters as angels, fallen angels, King Herod and his assistant, the Magi, a Mom and her three children. Appropriate humor is used throughout, but the focus always remains on the incredible sacrifice that Jesus made for all of us! Fully reproducible, 28 pages. A Letter From Jerusalem: An Easter Play for Children shares the account of the death, burial, and resurrection of Jesus as seen through the eyes of Alexander and Rufus, the two sons of Simon of Cyrene. They are in Jerusalem with their family for Passover Week when they hear about Jesus, the Nazarene. Both of the boys desire to meet Jesus, but they do not come face to face with him until their father is forced to carry his cross, and then they have an encounter that changes their lives forever. Approximately 35 minutes long, fully reproducible, 24 pages long. By the Tree: An Easter Play for Children is an Easter play that will help your children interact with the death, burial and resurrection of Jesus Christ in a creative and meaningful way as they participate in the conversations that may have taken place by a tree on the road to Jerusalem. Approximately 20 minutes long, 29 pages long.